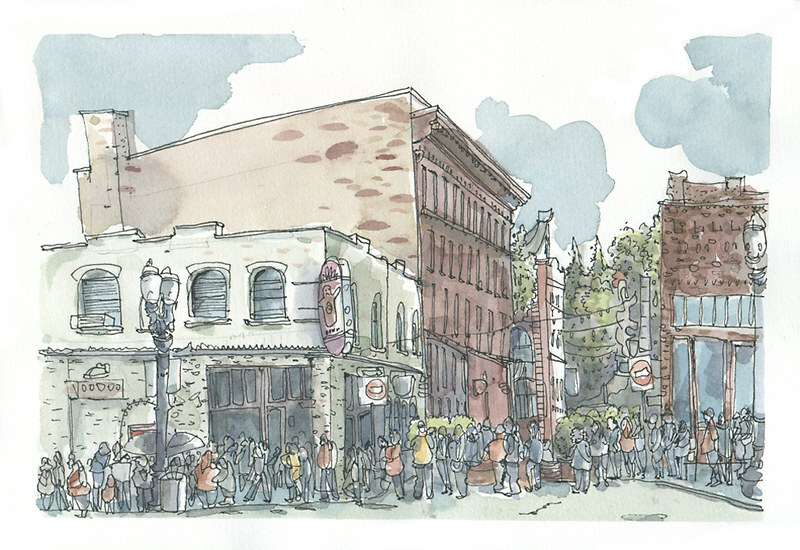 It has been on my list of sketching musts for a while to draw the line that stretches for a couple of blocks to the Old Town establishment called Voodoo Doughnuts. Drawing pleasure food lines in the first world is pretty hilarious as people have multiple options to purchase fried dough alternatives in the vicinity of this shop, yet voluntarily give up a few hours of their life to get access to this particular type of sugary snack. Brilliant marketing on the part of the inventors, for sure.